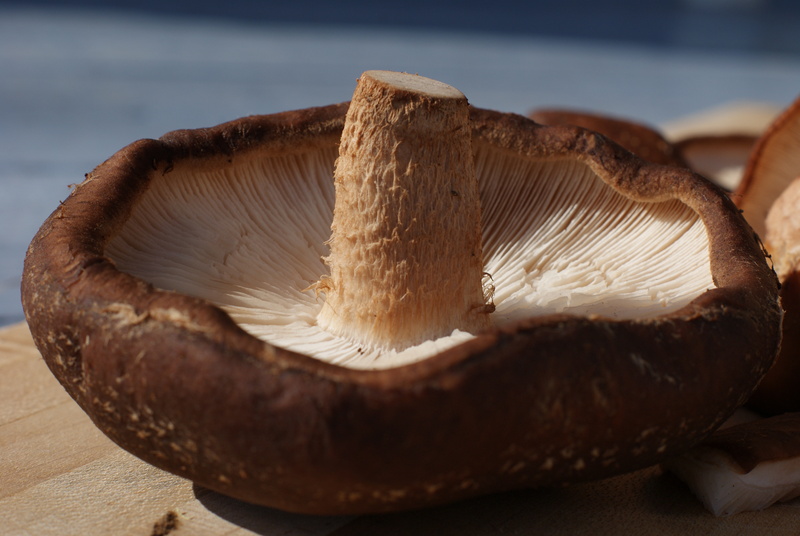 The shiitake mushroom(Lentinula edodes) has been cultivated in Asia for over 1,000 years. The “shii” refers to the shii tree, an evergreen species native to southern Japan which is related to the oak. 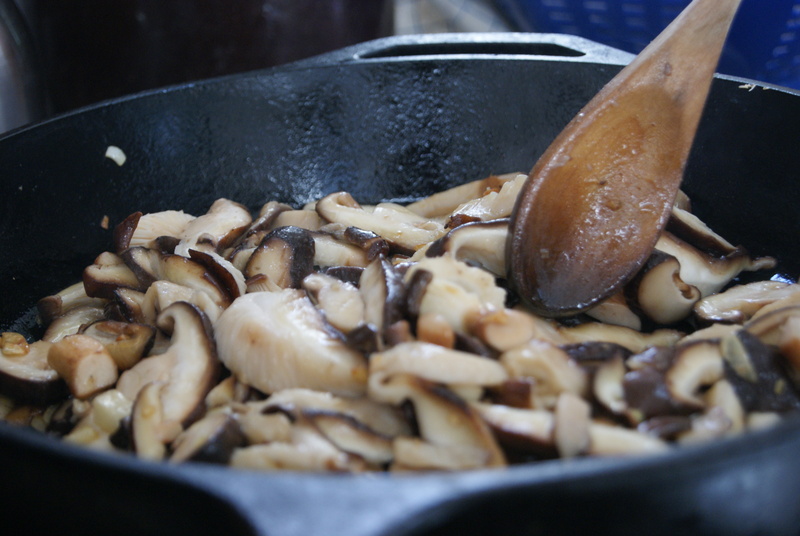 During the Ming Dynasty, the mushroom became popular for its medicinal uses, purported to act as a remedy for ailments as diverse as upper respiratory disease and poor circulation of the qi. 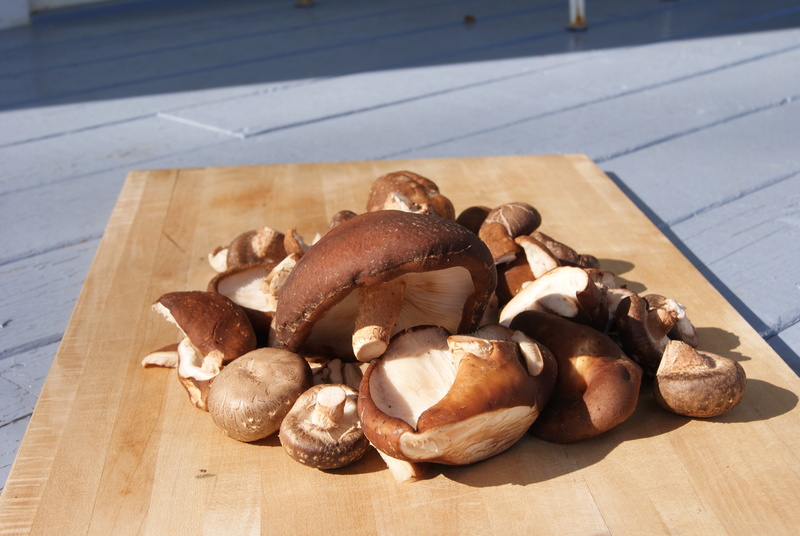 Today, Lentinan, a compound isolated from the shiitake, is used in some cancer treatments. I just think they are delicious and I normally get mine dried from the supermarket. However, one fine day in June of 2009 we found ourselves visiting our friends, Jennifer and Daniel, upstate New York. As is often the case, Daniel had a project which makes visiting them a lot like going to some kind of fun, anachronistic camp – one where you might make Prince Ruperts Drops or work out on the Atlatl course. A few days earlier, a storm had come through the area felling a number of trees, some of them oak trees. And freshly fallen fresh oak trees are just the thing you need to start cultivating shiitakes, so we set to work. 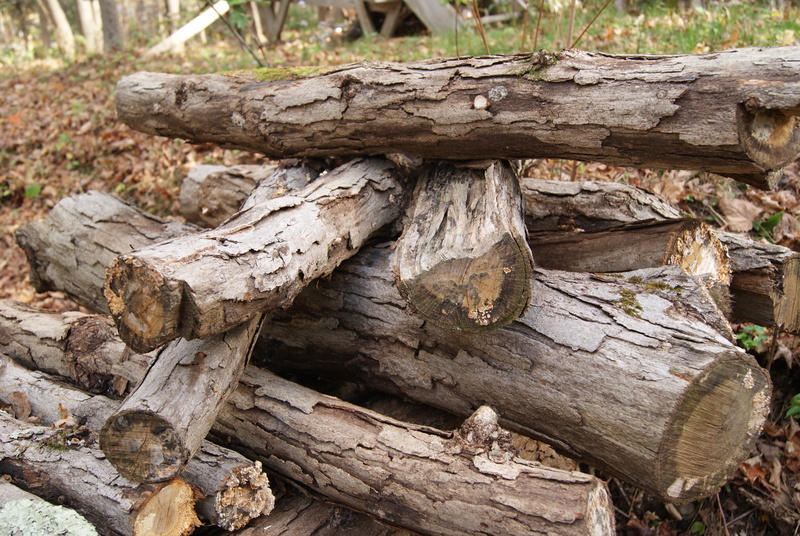 After cutting the fallen trees into almost a dozen logs measuring 4 feet in length, we drilled 1-2 inch holes all around the log using a 5/6 drill bit. 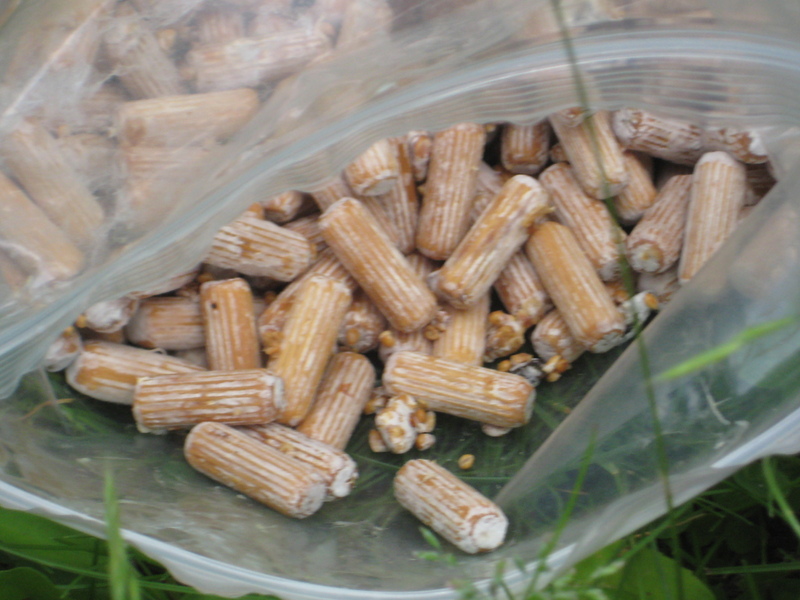 Once the logs were prepared, Daniel produced a bag of small wooden dowels that had been inoculated with shiitake spores, finally answering my question about what happens to those leftover bits from every IKEA project in the world. The dowels had been ordered from the Oyster Creek Mushroom Company, and their site gives a good overview of how to cultivate. The task was to fill each drilled hole with a dowel, using a hammer to make sure the end of the dowel was flush with the surface of the log. 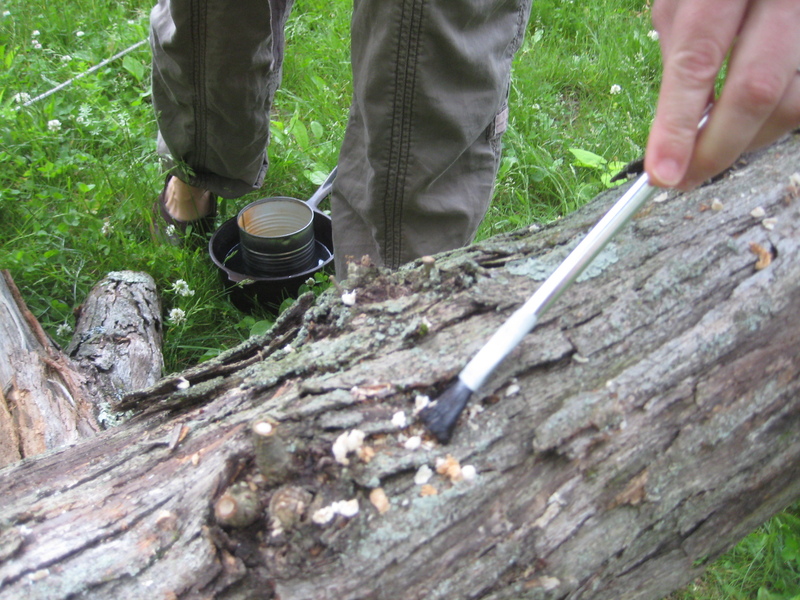 We then took a can of hot wax and painted over each dowel to seal it inside the log. Once all of the logs had been plugged full of shiitake spores, we had to find the right place to put them, not too dry and partly shady. As luck would have it, they have the perfect place in their yard, over a ravine and under some trees not too far from the house for careful monitoring. According to most sources, cultivation of shiitakes in this manner should take between 5 and 12 months. So we waited, patiently checking on the logs every time we were upstate. Five months passed, then eight, then a whole year. Nothing. Not one single mushroom! We had basically given up on the whole process until this past October with its heavy rainfall. Almost overnight, the logs were teaming with mushrooms like some kind of Japanese miracle! This happened a week or so before our last visit, and the bounty had to be harvested before I could take any pictures of the mushrooms actually on the logs, but below is a photo of the first harvest, a full 16 months after preparing our logs. 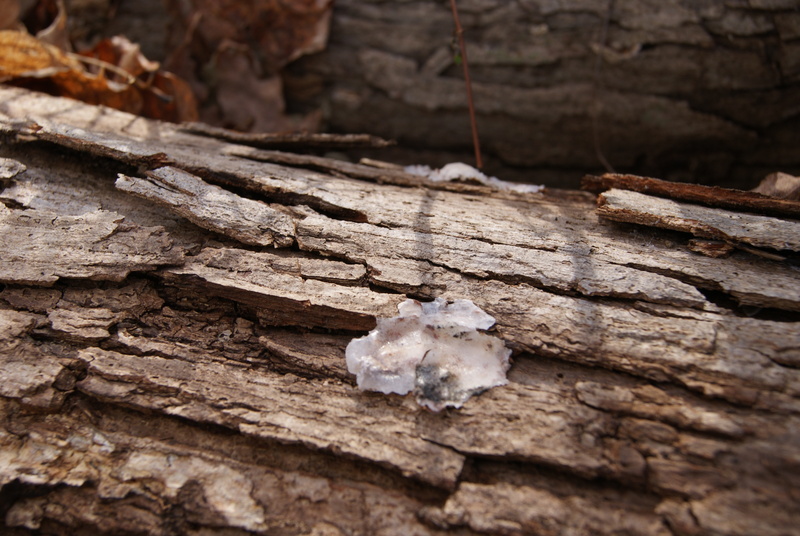 My guess is that we started too late in the season – most cycles begin in the springtime – and that the logs needed a cold season to start growing. But I’m no expert. All I know is that I love a fresh batch of homegrown shiitake mushrooms. Since we weren’t using them all right away, Daniel sautéed them in butter to preserve them for later. We used ours on pizza the very next weekend. This entry was posted on November 10, 2010, 9:58 am and is filed under garden, Kitchen Alchemy. You can follow any responses to this entry through RSS 2.0. You can leave a response, or trackback from your own site.